Until now, it was only known that INCENSER was a sub-program of WINDSTOP and that it collected some 14 billion pieces of internet data a month. 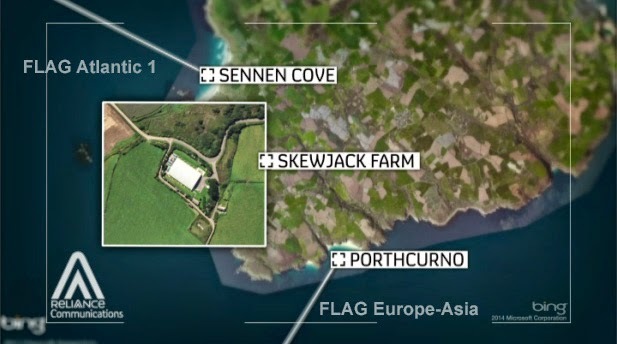 The latest revelations now say that these data were collected with the help of the British company Cable & Wireless (codenamed GERONTIC, now part of Vodafone) at a location in Cornwall in the UK, codenamed NIGELLA. For the first time, this gives us a view on the whole interception chain, from the parent program all the way down to the physical interception facility. Here we will piece together what is known about these different stages and programs from recent and earlier publications. Last week's joint reporting by the British broadcaster Channel 4, the German regional broadcasters WDR and NDR and the German newspaper Süddeutsche Zeitung, identified NIGELLA as an interception facility at the intersection of Cable & Wireless and Reliance cables at Skewjack Farm. 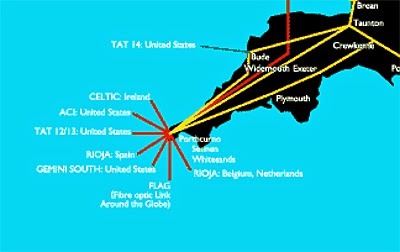 The FLAG Atlantic 1 cable to America consists of 6 fibre pairs, each capable of carrying 40 (eventually up to 52) separate light wavelengths, and each wavelength can carry 10 Gigabit/s of traffic. This gives a potential capacity of 2.4 terabit/s per cable. However, in 2009, only 640 gigabit/s were actually used, which went apparently up to 921 gigabit/s in 2011. The cable was initially owned by FLAG Telecom, where FLAG stands for Fiber-optic Link Around the Globe. This company was renamed into Reliance Globalcom when it became a fully owned subsidiary of the Indian company Reliance Communications (RCOM). In March 2014, Reliance Globalcom was again renamed, now into Global Cloud Xchange (GCX). This cable has 2 fibre pairs, each capable of carrying up to 40 separate light wavelengths, and each wavelength can again carry 10 gigabit/s of traffic. This gives a potential capacity of 800 gigabit/s, but in 2009 only 70 gigabit/s were used, which went up to 130 gigabit/s in 2011 - still an unimaginable 130.000.000.000 bits per second. The backhaul connection between the FLAG Atlantic 1 (FA1) and the FLAG Europe-Asia (FEA) is provided by a local area network of Cable & Wireless, which also connects both submarine cables to its terrestrial internet backbone network. This list also shows that the interception of these two cables is accompanied by a Computer Network Exploitation (CNE) or hacking operation codenamed PFENNING ALPHA. Because the owner of the cables (Reliance Globalcom, now Global Cloud Xchange) is not a cooperating partner of GCHQ, they hacked into their network for getting additional "router monitoring webpages" and "performance statistics for GTE [Global Telecoms Exploitation]". How the actual interception takes place, can be learned from an article in The Guardian from June 2013, which provides some details about the highly sophisticated computer equipment at cable tapping points. First, the data stream is filtered through what is known as MVR (Massive Volume Reduction), which immediately rejects high-volume, low-value traffic, such as peer-to-peer downloads. This reduces the volume by about 30%. The next step is to pull out packets of information that contain selectors like phone numbers and e-mail, IP and MAC addresses of interest. In 2011, some 40,000 of these were chosen by GCHQ and 31,000 by the NSA, according to The Guardian. This filtering is most likely done by devices from Boeing-subsidiary Narus, which can analyse high-volume internet traffic in real-time. A single NarusInsight machine can monitor traffic up to 10 Gigabit/second, which means there have to be up to a dozen of them to filter the relevant traffic from the FA1 and FEA submarine cables. Most of the information extracted in this way is internet content, such as the substance of e-mail messages. Besides the filtering by using specific selectors, the data are also sessionized, which means all types of IP traffic, like VoIP, e-mail, web mail and instant messages are reconstructed. This is something the Narus devices are also capable of. These "full take" sessions are stored as a rolling buffer on XKEYSCORE servers: content data for only three to five days, and metadata for up to 30 days. But "at some sites, the amount of data we receive per day (20+ terabytes) can only be stored for as little as 24 hours" according to an NSA document from 2008. The secret GCHQ documents about these cable tapping operations only refer to the cooperating telecommunications provider with the cover name GERONTIC. The real name is protected by STRAP 2 dissemination restrictions. But nonetheless, German media already revealed that GERONTIC is Cable & Wireless last year. In july 2012, Cable & Wireless Worldwide was taken over by Vodafone for 1.04 billion pounds, but according to the GCHQ documents, the covername GERONTIC was continued, and was seen active until at least April 2013. 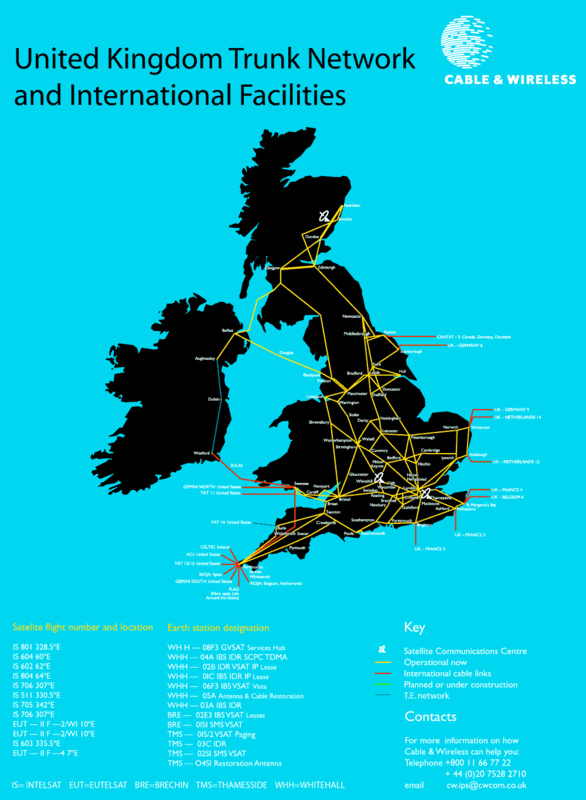 According to the press reports, GCHQ had access to 63 undersea internet cables, 29 of which with the help of GERONTIC. This accounted for about 70% of the total amount of internet data that GCHQ had access to in 2009. Disclosed excerpts from internal GCHQ wiki pages show that Cable & Wireless held regular meetings with GCHQ from 2008 until at least 2010, in order to improve the access possibilites, like selecting which cables and wavelenghts would provide the best opportunities for catching the communications GCHQ wanted. GCHQ also paid Cable & Wireless tens of millions of pounds for the expenses. For example, in February 2009 6 million pound was paid and a 2010 budget references a 20.3 million pound payment to the company. By comparison, NSA paid all its cooperating telecommunications companies a total of 278 million dollars in 2013. 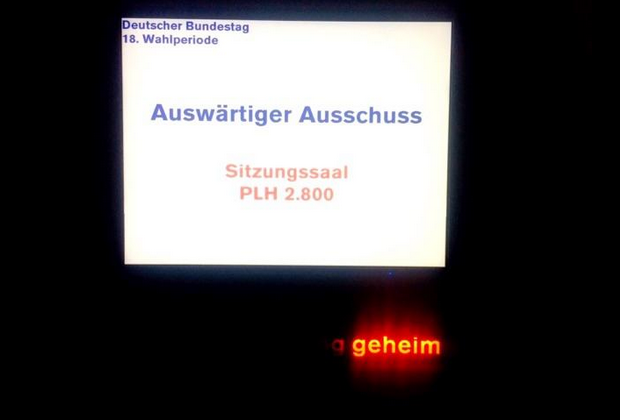 This entry was also shown in the German television magazine Monitor, although not fully, but without the redactions, so from this source we know the few extra words that were redacted for some reason. 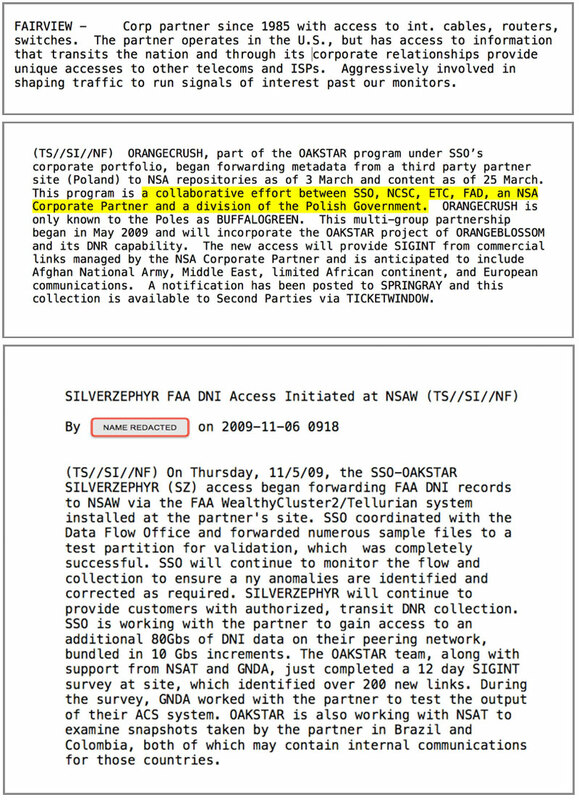 The entry also says that INCENSER traffic is labeled TICKETWINDOW with the SIGINT Activity Designator (Sigad) DS-300. From another source we know that TICKETWINDOW is a system that makes cable tapping collection available to 2nd Party partners. The exact meaning of Sigads starting with DS is still not clear, but probably also denotes 2nd Party collection. 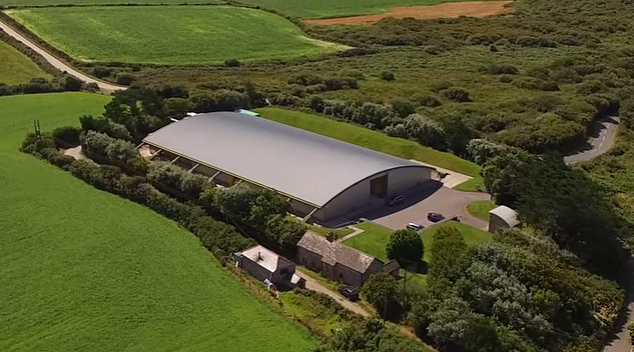 In Bude, GCHQ has its Regional Processing Center (RPC), which in 2012 had a so-called "Deep Dive" processing capability for 23 channels of 10 gigabit/second each under the TEMPORA program. TEMPORA comprises different components, like the actual access points to fiber-optic cables, a Massive Volume Reduction (MVR) capability, a sanitisation program codenamed POKERFACE, and the XKEYSCORE system. As we have seen, most of the hardware components are located at the interception point, in this case the facility in Skewjack (NIGELLA). These collection systems can be remotely instructed ("tasked") from Bude, or maybe even also from NSA headquarters. For one part that involves entering the "strong selectors" like phone numbers and internet addresses. For another part, that is by using the additional capabilities of XKEYSCORE. Because the latter system buffers full take sessions, analysts can also perform queries using "soft selectors", like keywords, against the body texts of e-mail and chat messages, digital documents and spreadsheets in English, Arabic and Chinese. XKEYSCORE also allows analysts to look for the usage of encryption, the use of a VPN or the TOR network, and a number of other things that could lead to a target. This is particularly useful to trace target's internet activities that are performed anonymous, and therefore cannot be found by just looking for the known e-mail addresses of a target. When such content has been found, the analyst might be able to find new intelligence or new strong selectors, which can then be used for starting a traditional search. 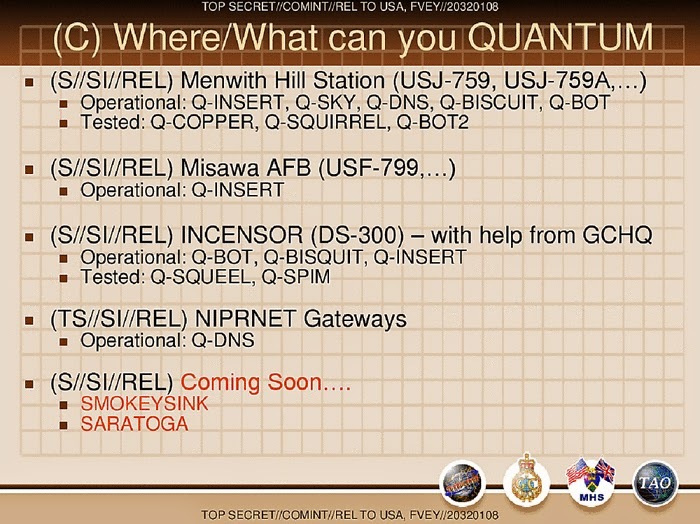 According to a 2010 NSA presentation that was published by The Intercept in December 2014, the INCENSER access is also capable of supporting the QUANTUMBOT (IRC botnet hijacking), QUANTUMBISQUIT (for targets who are behind large proxies), and QUANTUMINSERT (HTML web page redirection) hacking techniques. This means that at the INCENSER collection site NIGELLA, there are also TURMOIL sensors which detect when targeted user’s packets are among the traffic that flows past. TURMOIL tips off the central automated command & control system codenamed TURBINE, which then launches one or more QUANTUM attacks, as directed by NSA's hacking division Tailored Access Operations (TAO). An explanation of this method is on the weblog of Robert Sesek and the website of Wired. 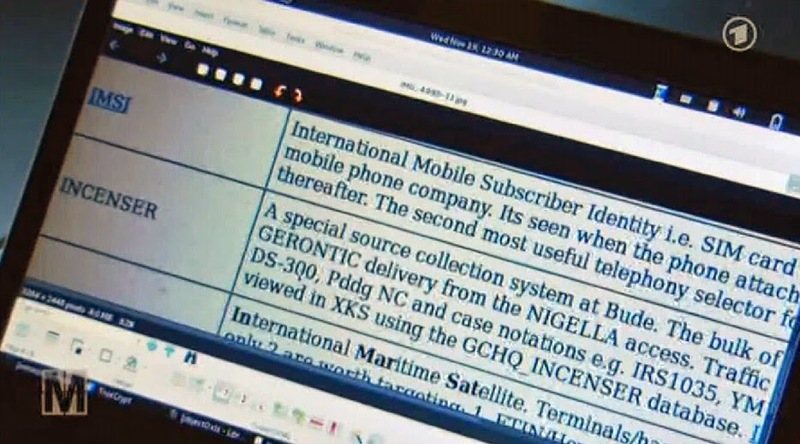 The disclosed GCHQ documents contain no specific targets or goals for the INCENSER program, which provided Channel 4 the opportunity to claim that this Cable & Wireless/Vodafone access allows "Britain's spies to gather the private communications of millions of internet users worldwide". Vodafone, which also has a large share of the telecommuncations market in Germany, was even linked to the eavesdropping on chancellor Merkel. Both claims are rather sensationalistic. Merkel's phone was probably tapped by other means, and both GCHQ and NSA aren't interested in the private communications of ordinary internet users. On the contrary, by tapping into a submarine cable that connects to Asia and the Middle East, INCENSER looks rather focussed at high-priority targets in the latter region. Update: The redacted source trigraphs of the case notations in the internal GCHQ glossary, which start with IR and YM, seem to point to Iran (Iraq is IQ) and Yemen as target countries of the INCENSER program. 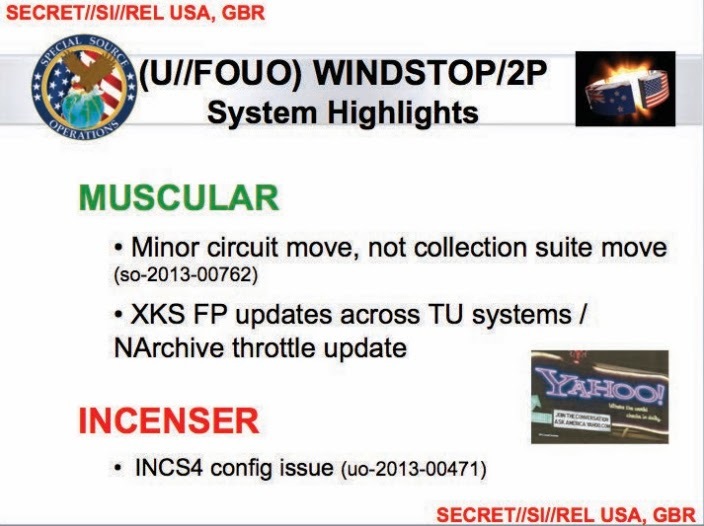 According to NSA's Foreign Partner Access budget for 2013, which was published by Information and The Intercept last June, WINDSTOP involves all 2nd Party countries (primarily Britain, but also Canada, Australia and New Zealand) and focusses on access to (mainly internet) "communications into and out of Europe and the Middle East" through an integrated and overarching collection system. MUSCULAR is a program under which cables linking big data centers of Google and Yahoo are tapped. The intercept facility is also located somewhere in the United Kingdom and the data are processed by GCHQ and NSA in a Joint Processing Centre (JPC) using the Stage 2 version of XKEYSCORE. 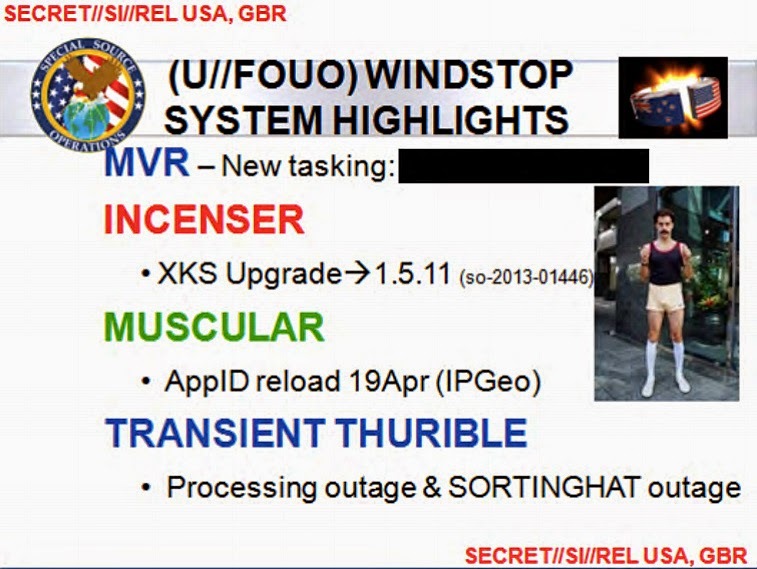 A new slide from this presentation about WINDSTOP was published by Süddeutsche Zeitung on November 25, which reveals that a third program is codenamed TRANSIENT THURIBLE. About this program The Guardian reported once in June 2013, saying that it is an XKeyscore Deep Dive capability managed by GHCQ, with metadata flowing into NSA repositories since August 2012. 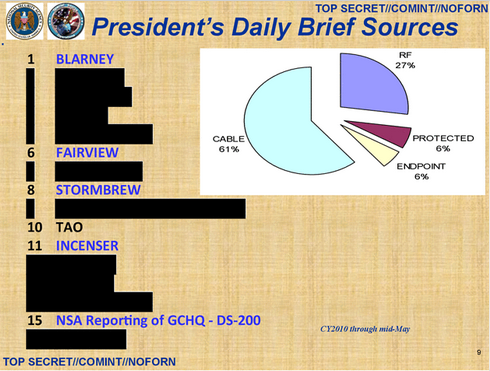 XKEYSCORE, which is used to index and search the data collected under the INCENSER program, can be seen in the bottom right section of the chart. It's remarkable that just one single cable access (NIGELLA in Cornwall) provides almost one tenth of everything NSA collects from internet cables. This also means that besides a large number of small cables accesses, NSA seems to rely on just a few important cables for about 2/3 of it's collection from this type of source. 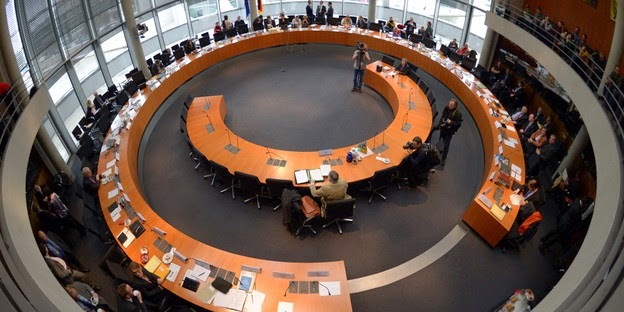 In Germany, a parliamentary commission is currently investigating the relationship between the National Security Agency (NSA) and the German foreign intelligence service Bundesnachrichtendienst (BND). Initially the hearings were about the main accusations made by Edward Snowden about NSA spying on countries like Germany and the experts only provided the usual statements that were already heard oftentimes since last year. But recently the commission focussed on the cooperation between NSA and BND and a number of officials of the German agency were heard. Their statements provided very interesting details about how BND is operating and how they were cooperating with NSA. As all this is only in German, we will start providing summaries in English of the most interesting parts of these hearings. The committee of inquiry (in German: NSA-Untersuchungsausschuss, twitter hashtag: #NSAUA) was installed on March 20, 2014. It consists of eight members of parliament and is now led by professor Patrick Sensburg from the christian democrat party CDU/CSU. He succeeded Christian Binninger, who resigned after just 6 days because the opposition parties seemed only interested in hearing Edward Snowden. The goal of the committee is to investigate the extent and the backgrounds of espionage in Germany conducted by foreign agencies. A detailed listing of all the tasks of the committee in English is in this document (pdf). The committee wants to hear over one hundred witnesses and experts, including CEOs of US internet companies like Mark Zuckerberg (Facebook), Eric Schmidt (Google) and Tim Cook (Apple). Also German chancellor Merkel, former and current federal ministers and the directors of German intelligence agencies are invited to appear before the committee. Because of this, the hearings will last throughout the next year and the final report with the recommendations is expected late 2016. According to an explanation by chairman Sensburg, the current hearings about the NSA-BND cooperation will continue at least until early 2015, then the investigation will shift to the Five Eyes. The exact schedule will be decided upon by all committee members. The witnesses are not under oath, but if they lie or give a false testimony, that's a criminal offence for which they can be prosecuted. Right from the beginning, opposition members of the committee made a big point of inviting Edward Snowden for a hearing, but the German government refused to provide a visum and guarantees for his security. Chairman Sensburg however was skeptical about how useful a hearing of Snowden could be, given the fact that he was never tasked with spying on Germany and so far hadn't provided any new information that was not already on the internet (he probably meant that Snowden only speaks about things as far as they have been published by media outlets and almost never goes beyond that on his own). Then in June 2014, Snowden let his lawyer say that there was no opportunity for him to meet a delegation of the committee in Moscow. A hearing of Glenn Greenwald was scheduled for September 11, 2014, but in August he refused the invitation, because he thinks the committee isn't interested in a serious investigation of NSA spying on German citizens. With Snowden not being heard, the whole inquiry became a ritual, according to Greenwald. Greenwald's refusal might also have to do with his misinterpretation of the BOUNDLESSINFORMANT charts. Last year he published them as proof of NSA's spying on the citizens of various European countries, including Germany, but afterwards it came out that the charts were actually about data collected by European military intelligence agencies, who shared them with NSA. Apparently the committee didn't asked access to the Snowden-documents itself, which is strange, as one full copy is in the hands of filmmaker Laura Poitras who lives in Berlin. It's not known whether Poitras was also invited for a hearing. Despite these security measures, some weird espionage cases happened already: early July 2014, a low-level employee of the BND was arrested, as he was suspected of collecting information about the investigation commission for the CIA. Also some members of parliament had indications that communications from their mobile phones had been intercepted. After this, the senior members of the committee were provided with secure mobile phones. The public hearings of experts can be recorded, but when witnesses, like BND officials, are heard, it's not allowed to make video or audio recordings or take pictures. Therefore, some people from the visitor's bench reported via Twitter, and at every meeting there was also a volunteer from the German digital civil rights website Netzpolitik.org who kept a live blog. (It was not the best choice to ask the opinion of these legal experts first, before all other witnesses, including BND-employees, were heard. They could therefore only testify in a very general way, based on the media stories, which, as we have seen in multiple cases, were often exaggerated and not always correct. Legal opinions only make sense when all the relevant facts are known, because every detail can make a difference. Binney presented himself as a technical director at NSA, although other sources say he was just a crypto-mathematician. He left the agency in 2001, so about everything that happened after that year, he only speculates. It also seems that he mixed up some things. His main point was that NSA wants to collect everything, for example, NSA needed the huge Utah Data Center because they are eavesdropping on the "whole of humanity". Thomas Drake said he worked as a security engineer for NSA from 2001 until 2008. He stated that we are standing before the abyss of a panoptical surveillance state. The BND has become a mere vermiform appendix of NSA and is also conducting mass surveillance, both nationally and internationally. 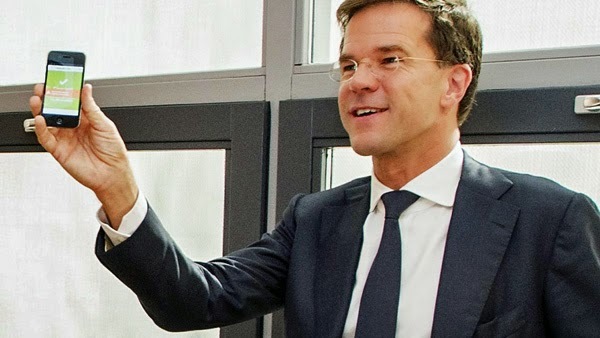 With last year's news of NSA eavesdropping on the mobile phone of German chancellor Angela Merkel in mind, Dutch online media assumed it was big news that the Dutch prime minister Mark Rutte has a phone that cannot be intercepted. As was the case with chancellor Merkel, most people do not seem aware of the fact that political leaders usually have two kind of phones: an ordinary one that is easy to intercept and a secure one, that is very difficult to tap. 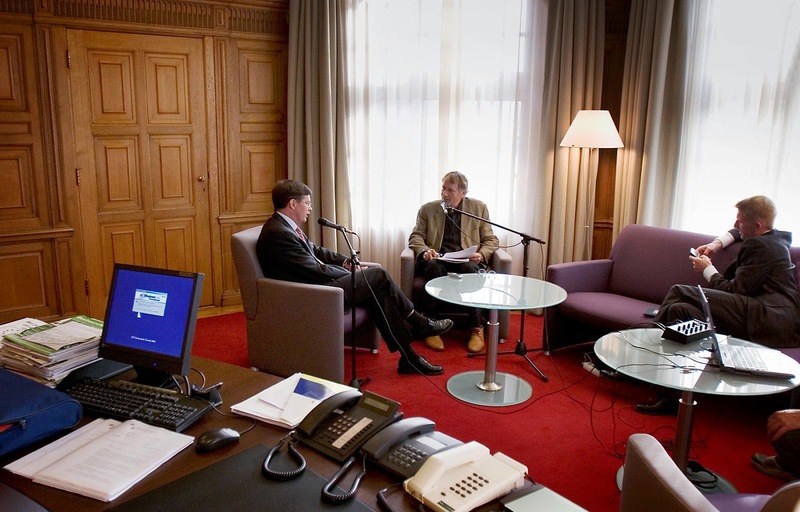 That prime minister Rutte has a secure phone was said by the director for Cyber Security in a radio-interview last week. Afterwards this was seen a slip of the tongue, because the government has the policy to never say anything about the security methods they use. 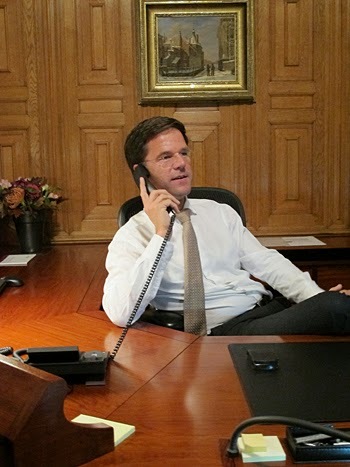 But from pictures and other sources we can still get a fairly good idea of which phones, both secure and non-secure, are used by the Dutch prime minister. As we will show here, he currently has three landline and two mobile phones at his disposal, only one being a highly secure one. 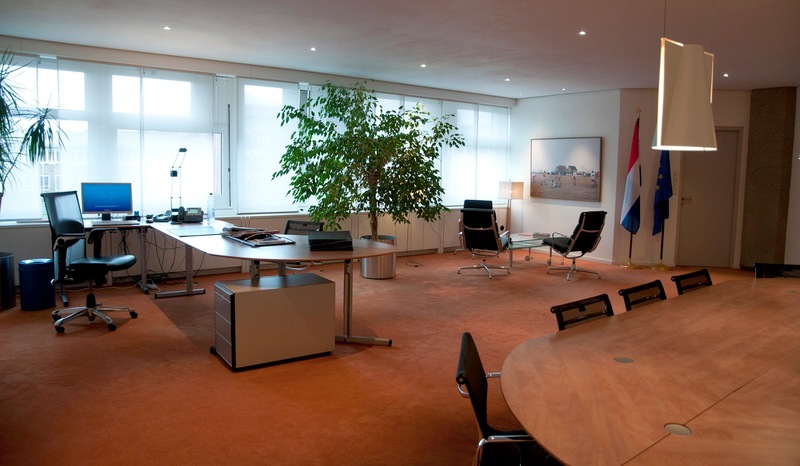 Since 1982, the office of the Dutch prime minister is on the second floor of a small tower that is part of the parliament buildings and which dates back to the 14th century. In Dutch this office is called Het Torentje. This is a common office telephone which has been part of the internal private branch exchange (PBX) network of the Department of General Affairs for over a decade. Other pictures from rooms in the same building also show the same and similar models of this telephone series, which was made by Ericsson, a Swedish company that manufactured many home and office phones used in The Netherlands. The prime minister can use this phone for every phone call he wants to make that doesn't require encryption. 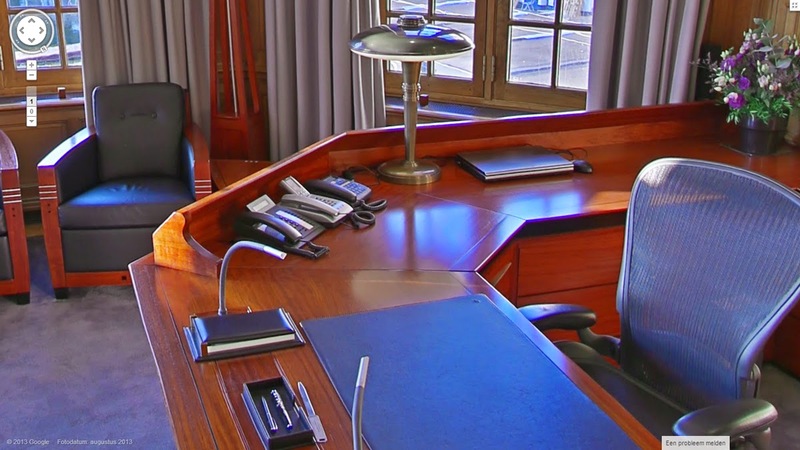 In December 2016, it appeared that the Department of General Affairs had installed new telephone equipment: high-end IP phones with full-color touch screen from the Canadian manufacturer Mitel (probably the MiVoice 5360 IP Phone). Such a device also replaced the at least 10-year old Ericsson DBC212 on the prime minister's desk. The make and type of this phone couldn't be identified yet, but it seems to be a common office telephone too. However, this phone is most likely connected to the Emergency Communications Provision (Dutch: NoodCommunicatieVoorziening or NCV). This is an IP-based network which is completely separated from the public telephone network. Communications over this network are not encrypted, but the switches are in secure locations and connect redundantly. The purpose of the NCV-network is to enable communications between government agencies and emergency services when during a disaster or a crisis situation (parts of) the regular communication networks collapse. This network replaced the former National Emergency Network (Nationaal Noodnet) as of January 1, 2012 (see below). The silver-colored telephone which sits in between the two other ones is a Tiger XS Office (XO). This device is capable of highly secured phone calls and can therefore be used by the prime minister for conversations about things that are classified up to the level of Secret. The Tiger XS Office is manufactured since 2005 by the communications division of the Swedish company Sectra AB, which was founded in 1978 by some cryptology researchers from Linköping University. Sectra, which is an acronym of Secure Transmission, also has a division in the Netherlands: Sectra Communications BV. Tiger is the brand name for their high-end secure voice products, but with everyone assuming that this refers to the exotic animal, it's also Swedish for "keep silent" (see for example: En Svensk Tiger). Although the Tiger XS Office looks like a futuristic desktop phone, it actually consists of a small encryption device which is docked into a desktop cradle with a keypad and handset. The encryption device, the Tiger XS, was originally developed for securing mobile phone communications and has special protections against tampering and so-called TEMPEST attacks. The desktop unit has no encryption capabilities, but with the Tiger XS inserted, it can encrypt landline phone calls and fax transmissions, so it turns into a secure desktop telephone. The Tiger XS enables secure communications on GSM, UMTS, ISDN and the Iridium, Inmarsat and Thuraya satellite networks. 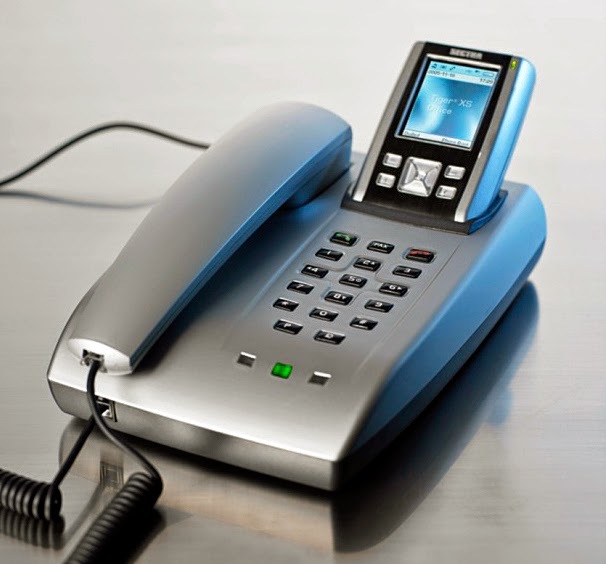 When inserted into the office unit, it also works on the standard Public Switched Telephone Network (PSTN). On its own, the Tiger XS device can be used to secure certain types of cell phones. For this, the Tiger XS is connected in between a headset (consisting of an earpiece and a microphone) and a mobile phone, to which it connects via Bluetooth. A secure connection is set up by putting a personal SIM-sized access card into the Tiger XS, entering a PIN code and selecting the person to connect to from the phonebook. What is said into the microphone of the headset is encrypted by the Tiger XS and then this encrypted voice data go to an ordinary mobile phone through the Bluetooth connection. The phone then sends it over the cell phone network to the receiving end, where another Tiger XS decrypts the data and makes it audible again. At first sight it seems to be a very flexible solution: connecting a separate encryption device to common cell phones. But in reality the Tiger XS can only connect to older mobile phones which suppport the original Circuit Switched Data (CSD) channel and a Bluetooth version that is fully tested and compatible with the way the Tiger XS has to use it. Because of this, the Tiger XS is rarely used for mobile phones anymore, but mostly in combination with the desktop unit. To restore the intended mobility, Sectra introduced the Tiger 7401 as a replacement for the Tiger XS. The Tiger 7401 is a custom made mobile telephone with TEMPEST verified design that is capable of encrypting phone calls by itself. In 2014, this new device was ordered to replace the Tiger XS for high-level officials of the Dutch Ministery of Defense. The encryption algorithms used by the Sectra Tiger XS are secret, so we don't know whether public standard algorithms like AES and ECDH are used, or ones that are especially designed for the Dutch government, or a combination thereof. The algorithms and the encryption keys are created by the National Communications Security Bureau (Dutch: Nationaal Bureau voor Verbindingsbeveiliging or NBV), which is part of the General Intelligence and Security Service AIVD. This bureau has approved the Tiger XS for communications up to and including the level Secret (in Dutch marked as Stg. Geheim) in 2007. In the Netherlands, there's no phone that is approved for communications at the level Top Secret (Stg. Zeer Geheim), so these matters cannot be discussed over phones that use public networks. This is different from the US, where there are secure telephones approved for Top Secret and even above. and a Cisco 7965 IP phone we see the Sectra Tiger XS Office. Besides encrypting phone calls and text messages, the Tiger XS also provides user authentication, so one can be sure to talk to the right person. For the actual implementation of these features there are centrally managed user groups. This remote management, which includes supplying up-to-date phonebooks and encryption keys for the Tiger XS devices is provided by Fox-IT, a Dutch cybersecurity company founded in 1999. Since Dutch state secrets are involved, it is considered essential that this remote management is in the hands of a trusted Dutch partner. In November 2015, Fox-IT was taken over by the British cybersecurity company NCC, and although the Dutch regulations regarding state secrets still fully apply, it was announced in April 2016 that an independent commission would investigate whether the take-over could affect the Dutch national security. The partnership between Fox-IT for the management and Sectra as the supplier of the hardware was established in 2007 by the VECOM (Veilige Communicatie or Secure Communications) contract. 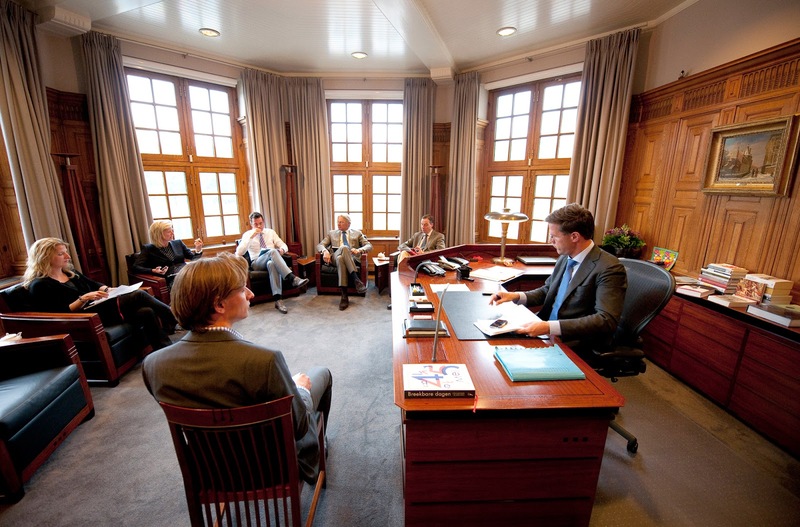 Under this contract all Dutch cabinet members and high-level officials of their departments are provided with secure phones. The Tiger XS has also been installed at all government departments in order to provide secure fax transmissions, for example to distribute the necessary documents for the weekly Council of Ministers meeting. Dutch embassies and military units deployed overseas probably also use the Tiger XS for securing satellite communications. For this, Sectra also made a manpack communications set which uses the Tiger XS. 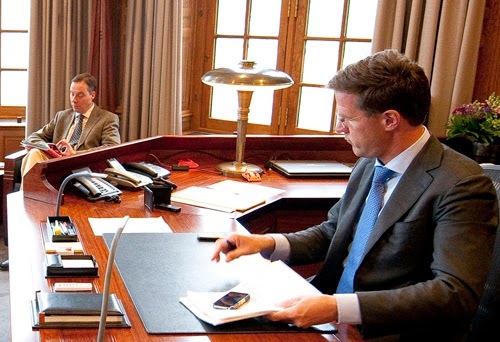 Besides the three landline telephones, current prime minister Mark Rutte also uses an iPhone 4 and a Blackberry. He is seen with these devices on several photos and Rutte also confirmed that he uses a Blackberry when he publicly admitted that it accidently fell into a toilet in January 2011. The iPhone is probably his private phone, because the Blackberry is the device used by Rutte's own Department of General Affairs, as well as by other departments, including those of Foreign Affairs and Social Affairs. Blackberrys are preferred by many companies and governments because they provide standard end-to-end encryption for chat and e-mail messages through the Blackberry Enterprise Server (BES). Blackberrys do not encrypt voice, but the Dutch computer security company Compumatica has developed a solution called CompuMobile, which consists of a MicroSD card that can be inserted into a Blackberry and then encrypts phone calls and text messages by using the AES 256 and ECDH algorithms. CompuMobile has been approved for communications at the lowest Dutch classification level (Departementaal Vertrouwelijk) in 2012, but whether government departments actually use it, is not known. Without this security measure, phone calls from both the iPhone and the Blackberry of prime minister Rutte can rather easily be intercepted by foreign intelligence agencies, just like NSA apparently did with the non-secure cell phone of his German counterpart. 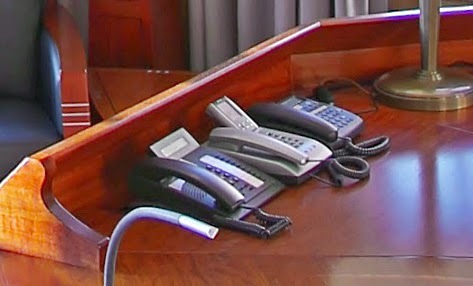 > See also: How secure is the Merkel-Phone? 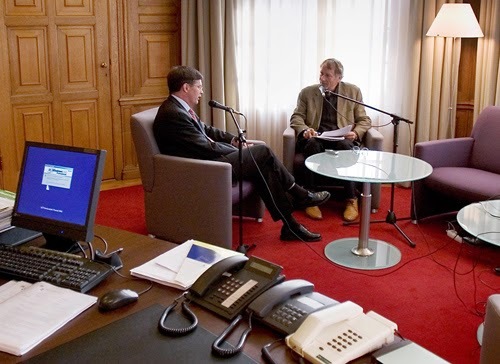 by Willem Breedveld (right) in his Torentje office, May 2006. This is the same telephone which is still in use today, as we could see in the pictures above. It's a common office telephone made by the Swedish company Ericsson and which is part of the internal private branch exchange (PBX) network of the Department of General Affairs. The dark gray Vox 415 was an ordinary telephone from a series that was manufactured by Siemens for both home and office use. For private customers this model was sold by KPN under the name Bari 10. This phone has no security features whatsoever, but as it is in the same place where later the Sectra Tiger XS Office sits, it seems very likely the Vox 415 was also used for secure communications. For that, it was probably connected to a separate encryption device, maybe one that was compatible with the PNVX, the secure phone which was manufactured by Philips and used by the Dutch government since the late 1980s. The Vox 120 was the business version of a telephone developed by Ericsson around 1986 and that was sold for home use under the name Twintoon. Attached to the back is a separate speaker unit so a third person can listen in to a conversation. 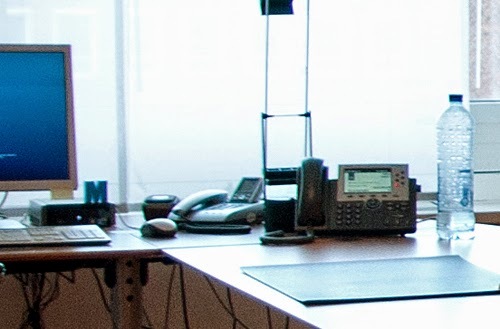 In the bottom left corner the phone has a black label with its extension number for the National Emergency Network (Dutch: Nationaal Noodnet or NN). This was a separate network which enabled government agencies to communicate with emergency services when the public telephone network collapsed. The National Emergency Network was established in 1991 and was operated by KPN. It had some 5500 connections for 2500 end users, like the departments of the national government, city halls, hospitals, and local police and firefighter headquarters. As of January 2012, it was replaced by the IP-based Emergency Communications Provision NCV (see above).